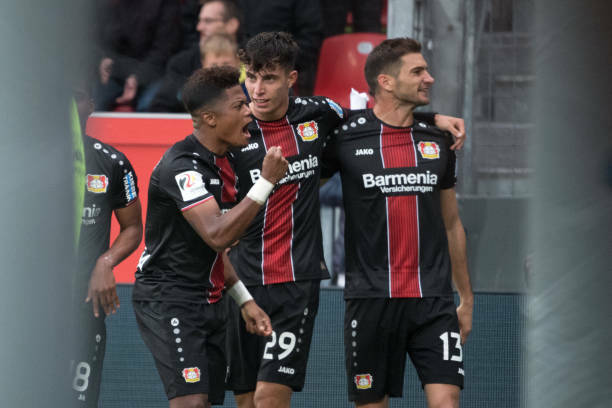 Bayer Leverkusen started the season on a slow note but have earned their first Bundesliga victory with a 1-0 win against Mainz on Sunday. Bayer Midfielder Kai Havertz scored the home side's winner with a header off Julian Brandt's cross with a half-hour remaining. Mainz stated slowly for the first 45 minutes but they almost claimed the lead when Levin Oztunali drew a good save from Lukas Hradecky, who had to react again to deny Jonathan Burkardt from the rebound. Mainz thought it had equalised after the break but Robin Quaison used his arm and the goal was cancelled after referee Marco Fritz consulted video replays. The result will ease pressure on coach Heiko Herrlich after Leverkusen also defeat Bulgarian side Ludogorets Razgrad 3-2 away in the Europa League on Thursday. It was a huge relief, Not everything was bad, and the mechanisms are still there when the results don't go your way. We have big demands and want of course to deliver.